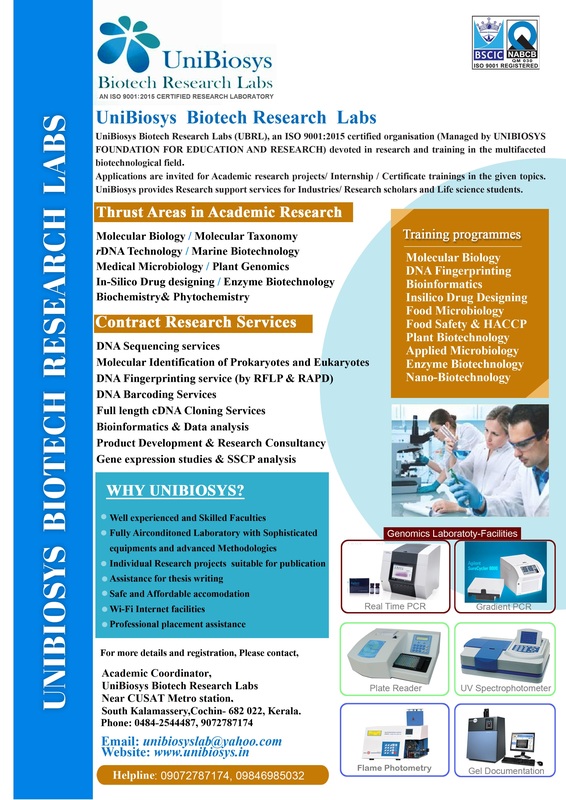 UniBiosys Biotech Research Lab has designed and developed the Thesis and Dissertation Programmes using our vast resources and experience in Biotechnology and allied fields. Our Thesis and Dissertation Programme aims to provide technique rich, hands-on training for students, helping them to apply a wide variety of advanced techniques in problem solving exercises. UniBiosys with its good technology combined with quality, helps students to understand the corporate culture and importance of working in a team. We also provide excellent faculty and guidance, reference materials, E- library, E- publications and internet facility to students for the smooth conduct of their research project work. UniBiosys provide support to researchers and life science students to publish their research work in renowned scientific journals. Life science Students / Research Scholars / Industry Professionals etc. looking at growing their careers for industry or research.